Miss Bella is the latest in a line of Alamo Cats who patrol the complex defending the Alamo from pesky rodents and greeting visitors from across the globe. 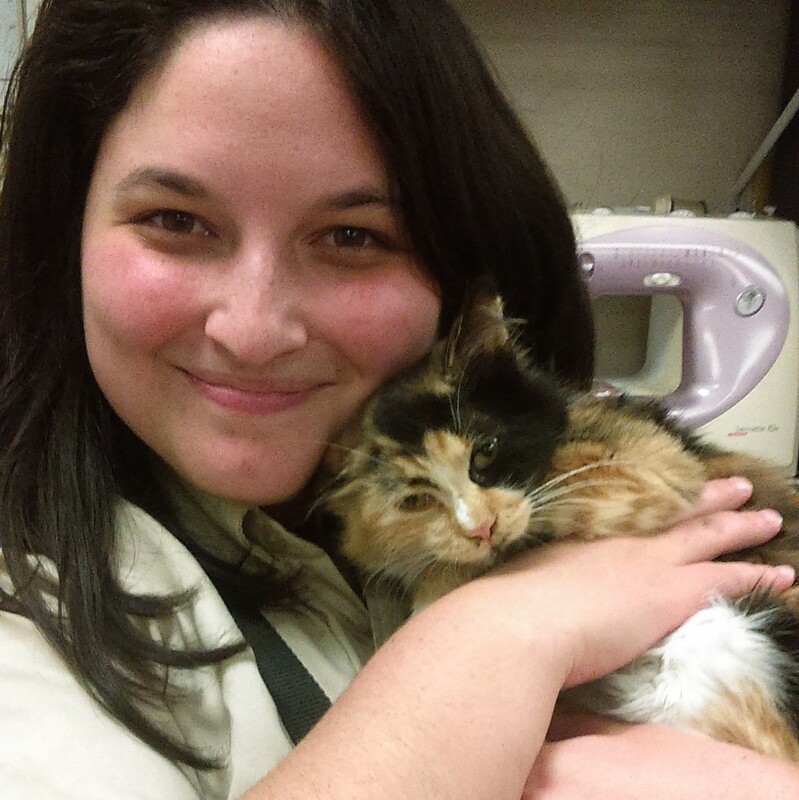 Today Miss Isabella “Bella” Francisca Veramendi de Valero was coronated as the Official Alamo Cat. How was Bella chosen to be the Alamo Cat? 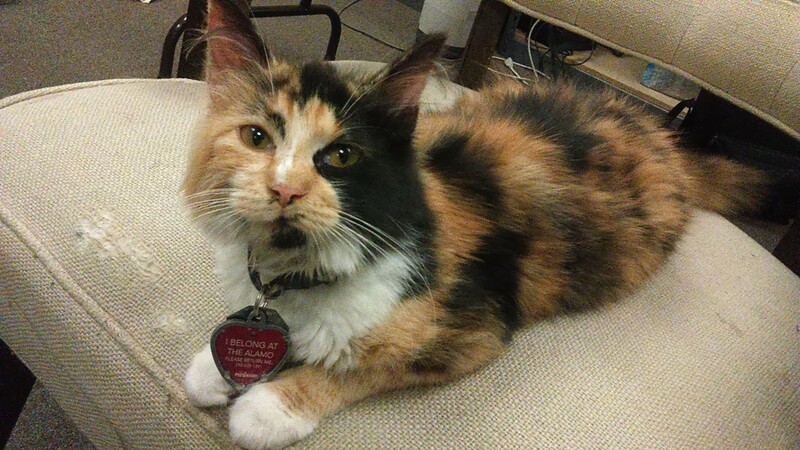 The previous ruling Alamo Cat, Mistress Clara Carmack, fondly referred to as C.C., passed away last summer. 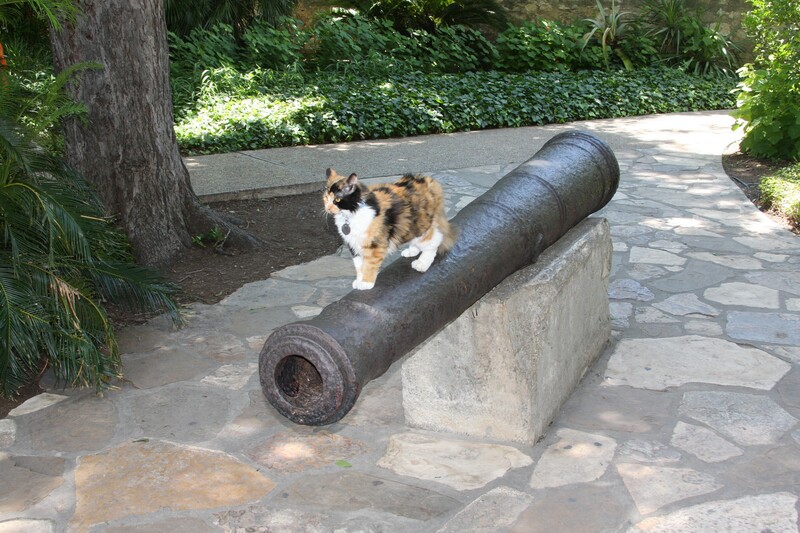 In looking for a successor for Miss C.C., the Alamo staff sought an affable, yet vigilant, feline. 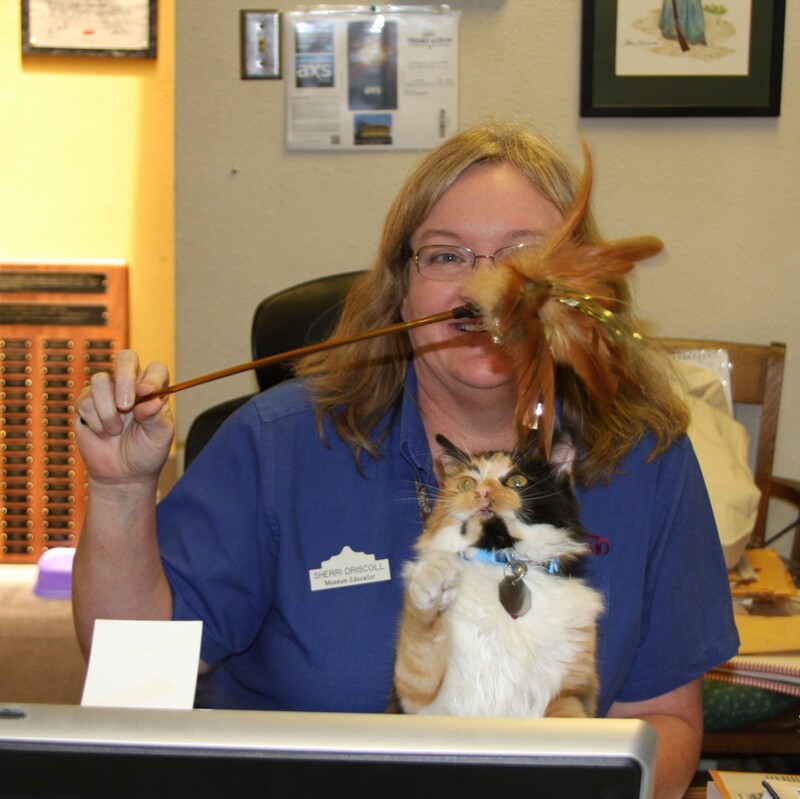 The Alamo staff cares for the Alamo Cat and pays for all expenses. It is a labor of love that begins with finding the perfect feline to defend the Shrine of Texas Liberty and the surrounding grounds. In February of 1836, Lieutenant Colonel William B. Travis wrote at least eight letters pleading for reinforcements as General Santa Anna’s army surrounded the outnumbered Alamo defenders. One letter, delivered by the courier James Bonham, reached Colonel James Fannin at the Presidio La Bahía, or Fort Defiance, at Goliad. Colonel Fannin’s attempt to send reinforcements was unsuccessful. 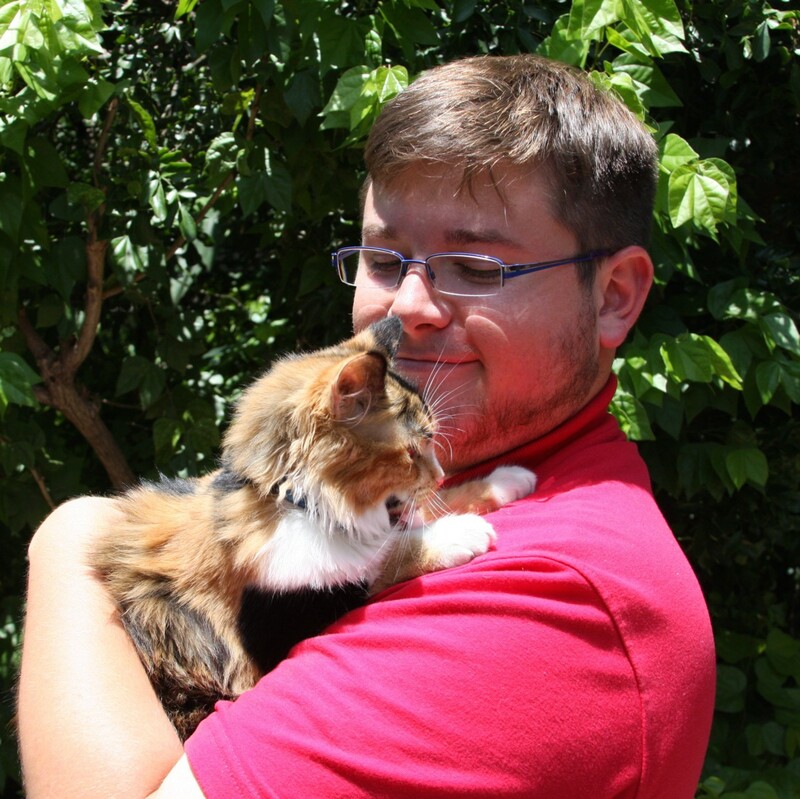 179 years later, Scott McMahon, the current director of the Presidio La Bahía, and his wife attended the ceremony commemorating the Battle of the Alamo — and they brought reinforcements, a calico kitten named Bella that the couple’s daughter found roaming the grounds of the Presidio. How did she get such an impressive name? 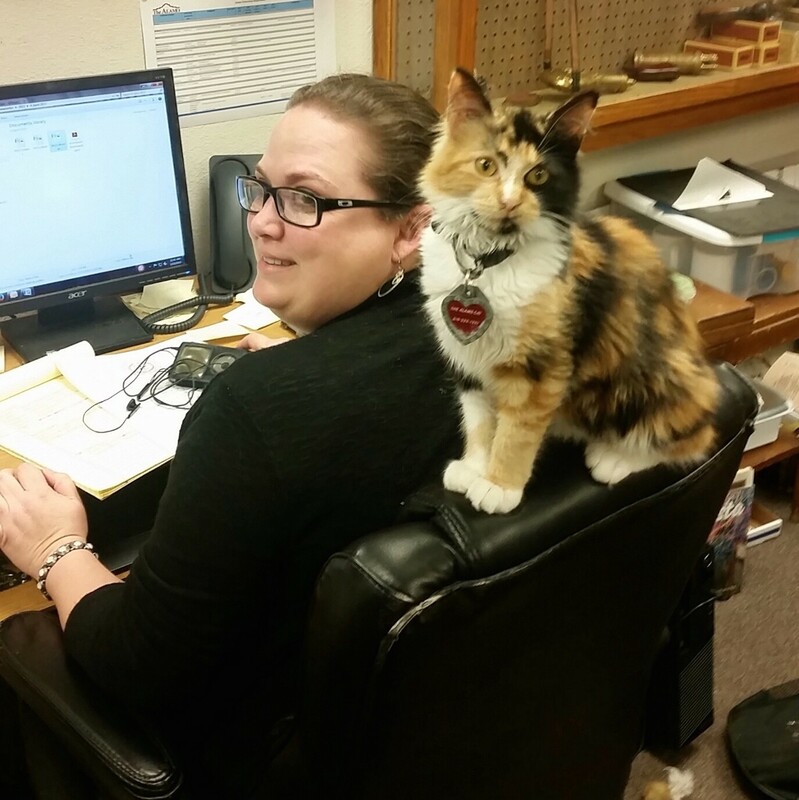 Once in her new home, the Alamo staff members voted to keep Bella as her name, but decided that such a regal feline needed a full name. Bella’s name is rooted deep in history. Francisca was chosen as her middle name in honor of the Angel of Goliad, a Mexican woman who was responsible for saving the lives of many Texan men during the Goliad Massacre. Her last name, Veramendi, is an homage to the Veramendi family. Juan Martín de Veramendi was a prominent leader in San Antonio de Béxar who served as Mexican governor of Coahuila y Tejas. Veramendi met with Stephen F. Austin while he was considering becoming an empresario and his daughter, Ursula, married James Bowie. ‘De Valero’, translated as “of Valero,” refers back the original name of the Alamo, Mission San Antonio de Valero. 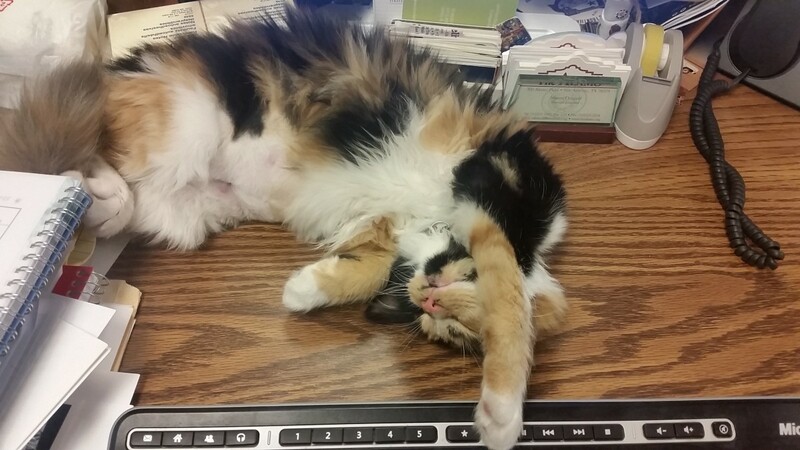 What is a typical day for Bella? 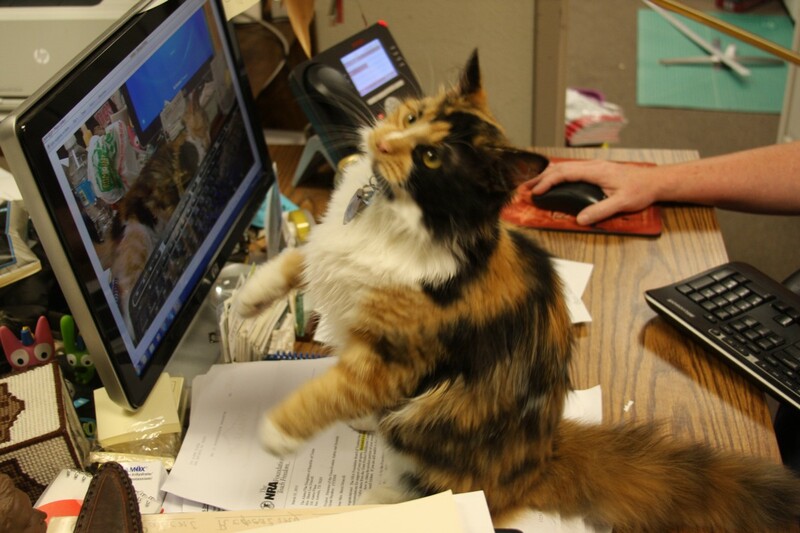 Miss Bella resides in the Alamo Education Department Office on the grounds of the Alamo. In the mornings she goes outside to patrol the grounds before the visitors arrive. When the gates open she happily greets visitors and welcomes them to the Shrine of Texas Liberty. She occasionally tours the Alamo Church, but holds up traffic as visitors pet her, so she tends to roam outside most days. One morning Bella joined several visitors in the Long Barrack theatre to watch the video depicting the events of the siege and battle. She enjoys learning about her new home and the heroes who fought there. Bella especially loves visiting with student groups and encouraging them to participate in the Alamo Young Courier Program and to go on the Alamo History Hunt. Bella also informs their parents and teachers about educational resources, teacher workshops, and lesson plans to help students learn more about the Alamo. Does she have a favorite Alamo employee? Bella has enjoyed meeting all of the individuals who help care for the Alamo including the docents, custodians, and Alamo Rangers. Two of her favorite caretakers are Ernesto, the Assistant Curator, and Sherri, the Museum Educator, who work in the office Bella calls home. They love feeding and caring for Bella and sometimes bring her a new toy to play with when she isn’t on patrol. Bella has enjoyed meeting all of the individuals who help care for the Alamo including the docents, custodians, and Alamo Rangers.